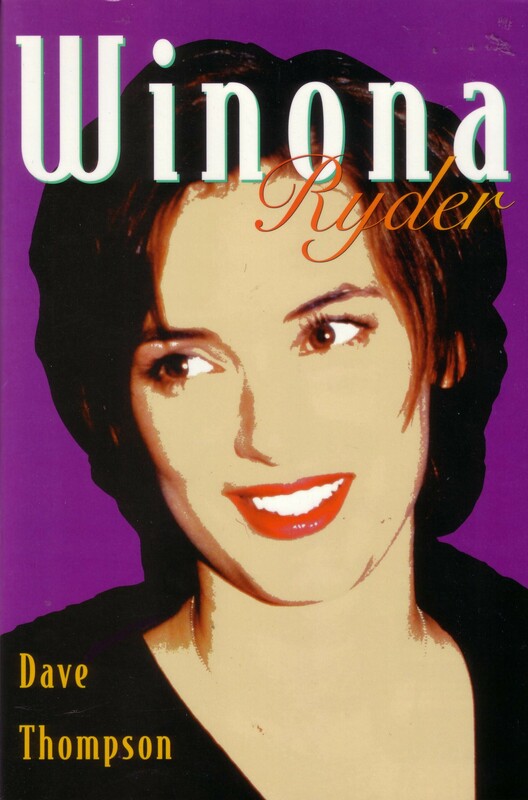 Winona was published by Taylor Publishing in 1996. By 1989, Tim Burton had Hollywood at his feet. The success of Beetlejuice, with its $73 million gross, and of the first Batman movie, his most recent project, had established Burton firmly amongst the upper echelon of Hollywood directors, someone whose visions might defy common logic, but which struck a chord with the audience regardless. It was strange, then, that Warner Brothers, who bankrolled his last three movies, were less than enthusiastic about his latest project. Even after Pee Wee Herman, Beetlejuice and Batman, Burton’s everyday tale of a man-made man with scissors for hands was too far a stretch for their minds to reach. Burton shrugged, and decamped across town to 20th Century Fox. They found themselves with a movie which would eventually gross a very respectable $54 millon. He would work within that same sense of alienation as he set about selecting his cast. Although he agreed to the studio’s suggestion that he consider Tom Cruise for the title role, Burton already knew that the Top Gun superstar was one of the last people who could capture the bizarre sense of the out-of-the-ordinary ordinary which Edward Scissorhands demanded. Burton wanted Johnny Depp. The decision to cast Winona was equally instinctive, as instinctive, in fact, as her acceptance. It wasn’t only the chance to work with Burton again, either; Heather Di Novi, her producer on Heathers, was now President of Burton’s own, wittily titled Tim Burton’s Productions company. Later, of course, she learned Depp was also to be approached, but as far as she was concerned, that was simply a bonus. A very nerve-wracking bonus. It didn’t worry Burton in the slightest that his two stars were in a relationship together. He knew Winona too well, and his very instincts screamed approval of Depp. Indeed, once the filming was over, he confirmed, “I don’t think their relationship affected the movie in a negative way. Perhaps it might have if it had been a different kind of movie, something that was tapping more into some positive or negative side of their relationship. One of Burton’s primary reasons for casting Winona was because, “she responds to this kind of dark material.” It was sheer mischievousness, then, which prompted him to put her in a blonde wig, and give her the role of Kim, the kind of girl who, in another lifetime (or at least another movie!) could easily have turned out to be a Heather… and then shatter her world of All-American cheerleading perkiness by having her fall in love with a knife-knuckled freak. Casting the lovers in such dramatically opposed, but mutually attractive, roles was a bold move on Burton’s part, but a necessary one. He was not working for his own amusement, he was aiming for dislocation, to upset the audience’s preconceptions before they were even offered the chance to form. Just as his stars adapted to roles which were so contrary to any they had previously played, so the slice of Florida suburbia which housed the Scissorhands crew, too, was selected because it was simultaneously jarring, but comforting – particularly after Bo Welch, the production designer, weighed in and repainted all the houses in bright pastel colors. Wiest, one of Woody Allen’s core stable of stars)? And why shouldn’t the greatest of those secrets be Edward, a boy whose hands are a series of lethal blades? His benefactress notes this, but Edward’s greatest plight, strikes her as secondary to the discovery that he has no-one there to look after him. So she does what any Avon lady would do, she takes him home with her. What follows, on one level, is exactly the comedy of errors and misunderstandings one would expect from such a build-up. Who, for instance, would board such a guest in a bedroom with a waterbed? But Edward repays her kindness, and compensates for his clumsiness, by becoming something of a neighborhood attraction. In his solitude, his hobby was hedgeclipping, and the spruce (and decidedly hedge-less) lawns of suburbia suddenly erupt into a utopia of living sculptures. Poodles follow, and after that, human hair. Suddenly, you’re nothing if your coiffe wasn’t carved by Edward. Edward’s popularity breeds dissent, however. His obvious affection for Kim, his hostess’ cheerleader daughter, and her own increasing awareness of it, provokes her jock boyfriend into a succession of bullying outrages. A middle-aged seductress whose advances were spurned by Edward joins the hue, and as misunderstanding piles upon misunderstanding, so the very fabric of the movie’s hitherto utopic society comes unraveled. The climax to Edward Scissorhands begins with a hunt scene lifted unapologetically from countless Frankenstein’s monster movies. The difference is, this time the monster survives. The analogy, of course, was deliberate. Edward Scissorhands starred, albeit briefly, Burton’s own greatest cinematic idol, the veteran English actor Vincent Price – whose own presence had made so many Frankenstein movies so memorable. The two men would subsequently become close friends, and Burton’s own next project, Conversations With Vincent, was in fact a documentary of Price’s life. Price himself would make no further movies before his death in 1993, but Edward Scissorhands stands as a fitting tribute to his genius. All down the line, Burton exorcised demons, his own and his cast’s.